Along with a perfect wedding gown for the bride to be, we also need the bridesmaids to look beautiful. Black bridesmaid dresses are perfect for the reason that they give a regal air to the wearer. They are a reflection of class, style and elegance moreover they come in a variety of styles, from short and sassy to long and formal gowns. 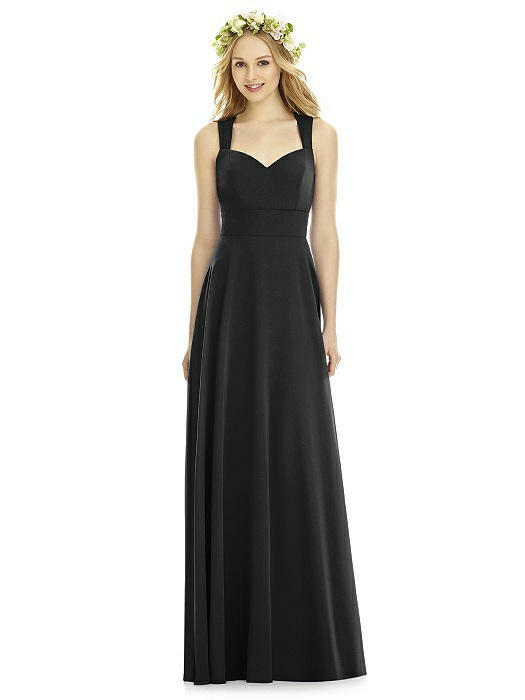 1Black satin dress with full length, a sweetheart neckline and a split down the middle. 2Floor length lace dress with convertible tulle sleeves and draped tulle bodice. 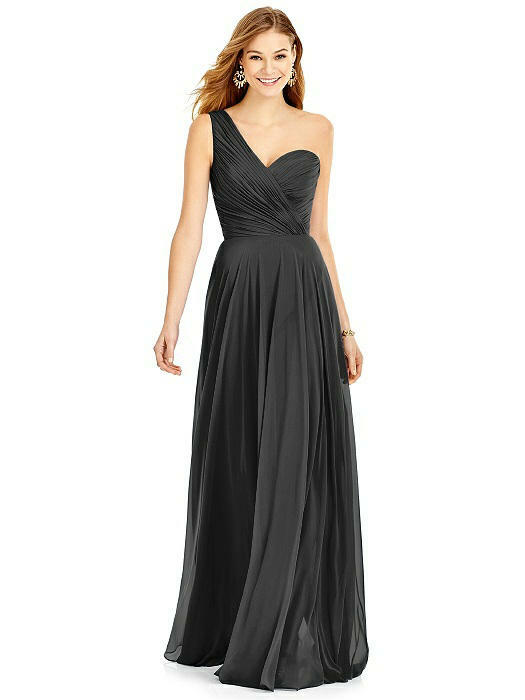 3Lux Chiffon dress with one shoulder, pleated bodice, pleated back with a zip and floor length circle skirt. 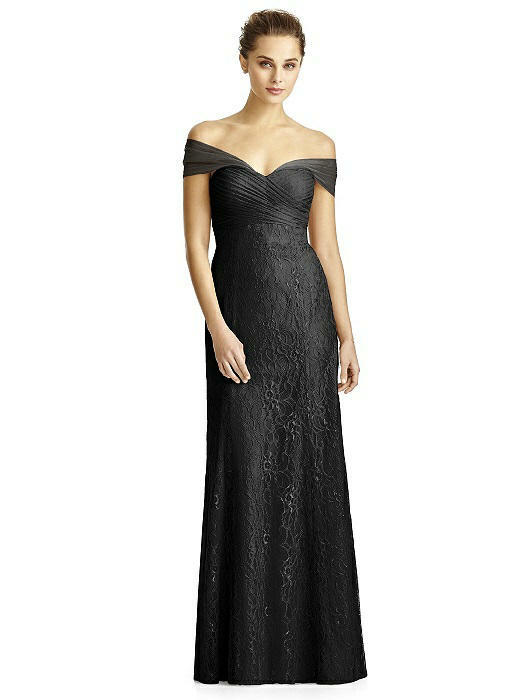 4Full-length nu-georgette gown with the romantic neckline, soft circle skirt, and a stylish open back. 5Floor length nu-georgette straight neckline gown with a matching inset belt, cascading detail and knee length split on right leg.